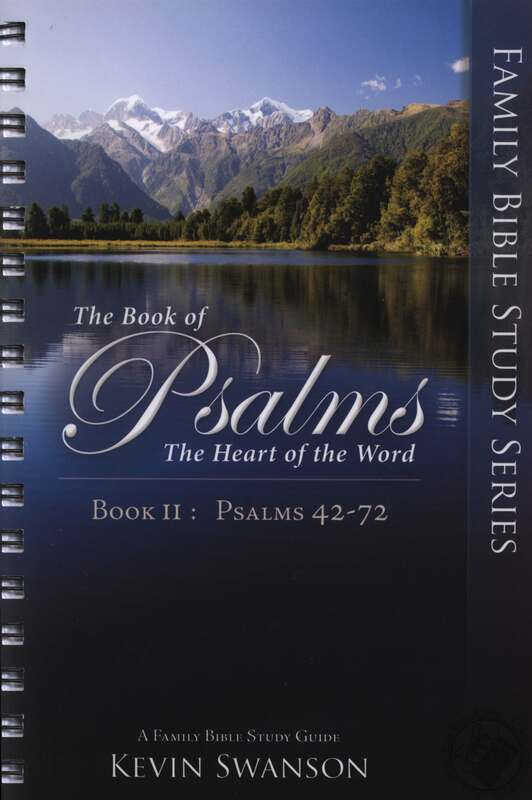 In these family Bible study guides, Kevin Swanson introduces the book of Psalms as the very heart of the Word. 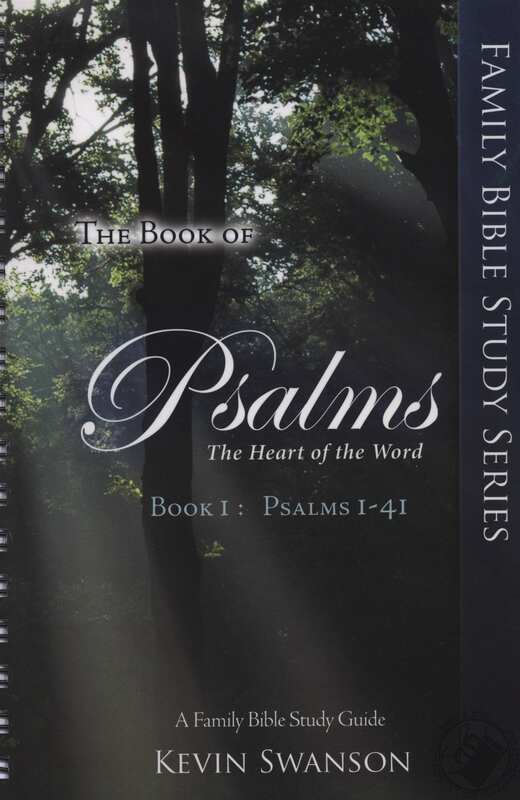 The book of Psalms teaches us the proper worship of God in content, emotion, and method. Of all the things which make up your life, what could be more important than the worship of God? Certainly, there could hardly be anything more critical to teach your children! 3 Volumes. 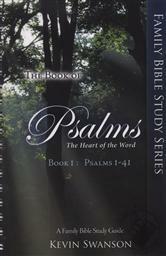 Covers Books 1-4 of the Psalms. Homeschooled himself in the 1960′s and 70′s, Kevin Swanson and his wife, Brenda, are now homeschooling their five children. Since graduating from his homeschool and then serving as student body president of a large west coast university, he has gone on to other leadership positions in corporate management, church, and other non-profits. Kevin has 35 years of experience in the homeschooling movement and serves as the Director of Generations with Vision – a ministry he founded to strengthen homeschool families around the country. As a father who wants to leave a godly heritage for his own five children, Kevin’s passion is to strengthen and encourage the homeschooling movement all over the world, and to cast a vision for generations to come. For the last 4 years Kevin has hosted a daily radio program – Generations Radio – the world’s largest homeschooling and Biblical worldview program that reaches families across the US and in over 80 countries. Kevin has also served as the Executive Director of Christian Home Educators of Coloradofor the last nine years. He has also authored several popular books for homeschoolers, including Upgrade-10 Secrets to the Best Education for Your Child, The Second Mayflower, theFamily Bible Study Guide Series, and others. Serving as a passionate supporter of home education, he has been interviewed on hundreds of media outlets, including Dr. James’ Dobson’s Focus on the Family and the Fox News Network.